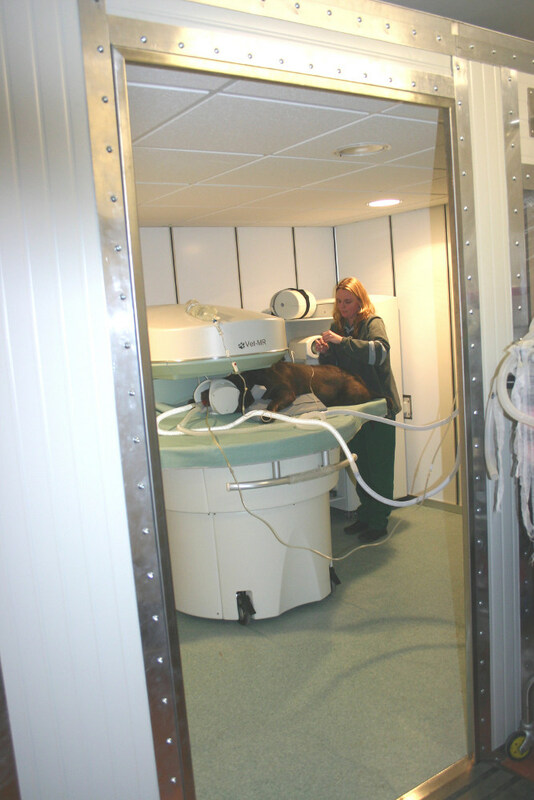 In 2005, Downs Veterinary Practice was the first in the South West to invest in dedicated, on-site, veterinary MRI facilities. Since then, we have built on our reputation as one of the most experienced providers of advanced diagnostics in the region. MR-scan acquisitions are directly supervised by experienced surgeons so as to minimize anaesthetic time for the patient and produce optimal results for the client without delay. Most importantly, we also have the facilities and knowhow to offer emergency neurosurgical procedures when needed. This means critical cases are treated rapidly to maximise their chances of a sucessful outcome. In addition, our in-house facility allows us to extend a cost-effective screening program for syringomyelia run by the British Veterinary Association in conjunction with the Kennel Club. Fees applicable to this scheme start at £260 per dog, inclusive of anaesthesia. Discounts are available for multiple bookings. 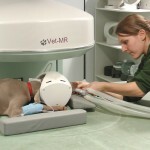 Aside from neurology, our advanced diagnostics capability is allied to a close-knit clinical team, used to dealing with a broad range of non-routine orthopaedic, soft tissue and internal medicine cases – giving your clients the assurance they need when their pets require expert, efficient and compassionate care. We also believe that allocated funds should be spent wisely; there is little point in using up all available rescources for investigations which may leave little left for the management of a patient’s condition. In this regard, we always offer a range of investigative and treatment options. 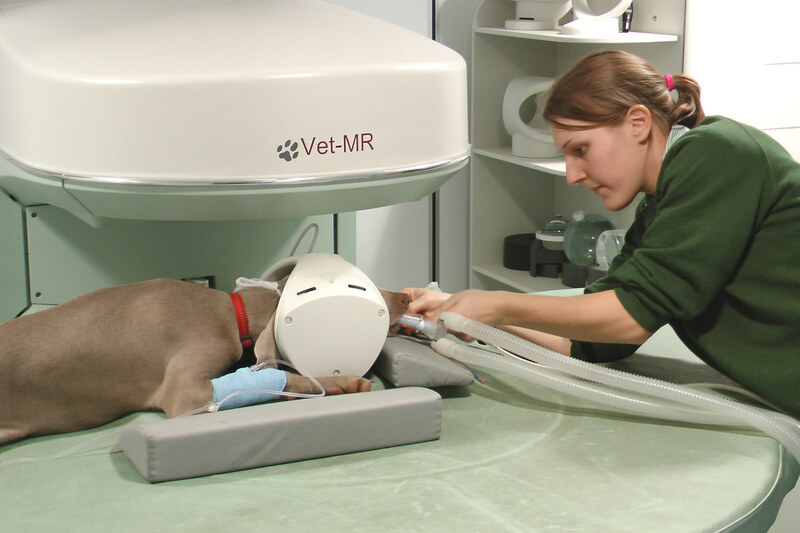 Our standard MR-scanning fees start from £625 plus anaesthesia. A 2.5kg, male, entire Yorkshire Terrier was referred for investigation of a month-long history of cervical pain preceding peracute-onset tetraparesis. There had been no relevant previous history and initial assessment by the referring vet had revealed no abnormalities other than medial luxation of the patellae. There had been no relevant previous history and initial assessment by the referring vet had revealed no abnormalities other than medial luxation of the patellae. 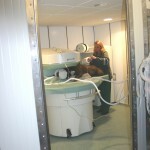 Review Article: MRI – An Overview of the Theory and Applications in Small Animal Practice. This article includes an overview of the medical physics and clinical procedures involved in MRI. It also covers useful techniques for optimising MRI scans for different conditions and for different types of diagnosis. We list clinical indications for which MRI scanning is essential or important. The article goes into more details for intracranial disease, nasal disease, orbital disease, spinal disease, ENT/soft tissues and orthopaedics. Read the full MRI article. For more information, please contact us, or read about our other referral services for vets.